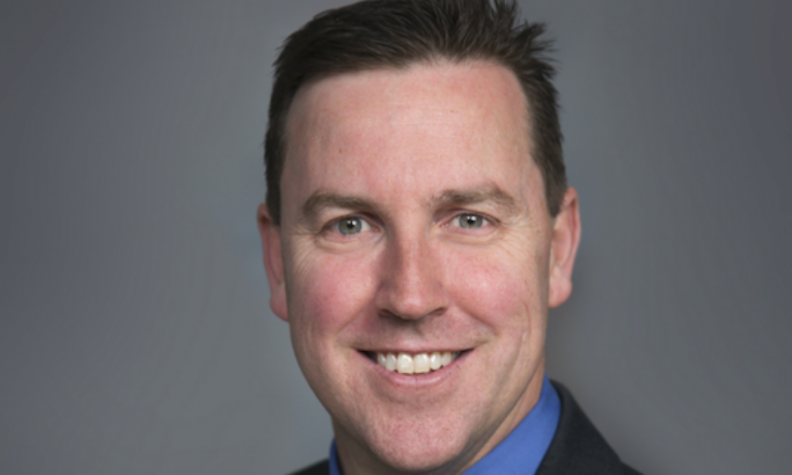 Travis Hester is the new head of General Motors Canada. General Motors Canada President Travis Hester has laid out his plan for the company, and it includes building on Canada’s “rich research and development ecosystem,” supporting manufacturing in Ontario and increased sales. “I was an ardent supporter of our plan to hire up to a base of 1,000 engineers in Canada and leverage Canada’s rich r&d ecosystem,” Hester says in a video posted on GM Canada’s website. Previous to his Canadian role, Hester was vice-president of global chief engineer and program management, where he oversaw groups of vehicles from inception to launch and beyond. The GM Canadian Technical Centre has campuses in Oshawa and Markham. The automaker also has a presence at Communitech in Waterloo, where it explores and experiments with advanced smartphone apps and new ride-hailing and short-term rental services. “We are developing software for self-driving cars and building partnerships that will drive toward a future of electric, self-driving cars and shared mobility,” Hester says. It was former GM Canada boss, Stephen Carlisle who helped negotiate upgrades at Oshawa Assembly. Unifor President Jerry Dias gives Carlisle credit for getting GM to invest $500 million in its Oshawa factory in the wake of 2016 contract negotiations, which largely focused on the facility’s future. The investment allows the plant to do final assembly on the Chevrolet Silverado and GMC Sierra pickups. The investment allows the plant to assembly sedans and trucks at the same place. “To watch new pickups and sedans rolling off the same assembly line is an impressive achievement for any manufacturer in any country in the world,” Hester acknowledges. Carlisle also helped guide the company through a month-long strike by Unifor at the CAMI plant in Ingersoll, Ont., where the popular Equinox is made. It will be Hester, should he remain in his position, that will deal with contract talks in 2020. When it comes to sales, Hester arrives at a pivotal point for GM Canada as it looks to re-establish itself as the country’s No. 1 automaker by new-vehicle sales. The company sold 302,826 vehicles in 2017, fewer than 6,000 vehicles behind Ford Motor Co., according to the Automotive News Data Center. GM reported a 21-per-cent rise in new-vehicle sales between 2015 and 2017. And sales are up 5.4 per cent to 32,831 vehicles through May 2018. But, the automaker still trails FCA and Ford in terms of total sales through the first five months of the year.